Find the right words to make your point with our built-in dictionaries and contextual thesaurus. Sententia is a one-stop solution for all English language needs for all types of users. It caters to the grammatical, syntactic and semantic demands of using the language. It is designed to help students from grade 1 to grade 12, college students, postgraduate students, writers, journalists, casual users, lifelong learners and for all ages of all communities across the globe. Understand what you did wrong before you fix your mistakes. Receive personalized learning materials thorough analysis of your writing style. Make formal writing a habit through a unique "5-step process". 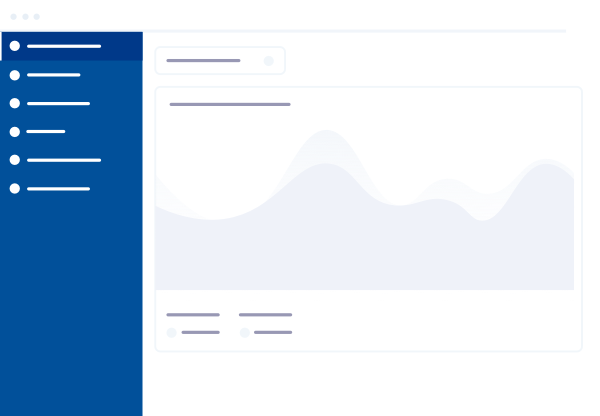 Get personalized analytics within seconds, see your improvement over time. Use domain specific jargon with confidence and receive context-aware analysis results. Institution heads can monitor the progress of all the students collectively or individually. Sententia is developed with the sole objective of helping the users of the English language use it in the best way possible by providing them with world class language support, learning aids, conversational engagement, and by fostering a long standing relationship. The motivation for creating Sententia comes from the ever-increasing population around the globe that needs to adopt English in their daily lives, be it at the office, at the market or at home. With the help of its varied tool sets, aids and support, Sententia wishes to change the way a clear majority of English users use the language – be it at home, in the campus, at the market, or in the office. Because, Sententia believes that the first step towards a great relationship is great communication, and at the beginning of any great communication lies the right way of communication. 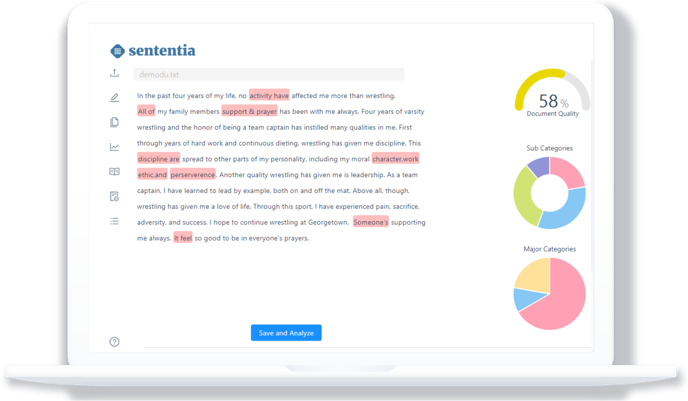 Sententia utilizes the latest NLP technologies to help the users perfect their writing with the best possible English grammar and syntactic rules to the user. Sententia applies thousands of rules intuitively on any writing that the user wishes to analyze and rapidly identifies mistakes and errors in the writing. It provides grammar correction suggestions, spell check errors and corrections and highlights them. Users who are learning can do so and check their progress through highly intuitive graphic visualization of their performance. Technical writers, authors, journalists and anyone writing an essay can get help on many nuances of the language, such as alternate usage of a phrase, synonyms, antonyms, etymology of a word, phonetics of a word etc. Multiple versions of Sententia are designed with the help of language experts to empower diverse sets of people with diverse requirements. Students are provided with an edition that can be either implemented at their educational institutions or tutorials. Corporate edition caters to organizations wishing to enrich their employees with better communication skills and a deeper knowledge of the English language. Or, anyone, anywhere can avail the rich set of features Sententia has to offer through the personal edition. Sententia contains learning materials that are carefully curated and graded, to help users learn the nuances of the English language in a structured manner. Language and education experts have helped us categorize the learning materials into grades, based on various standards of teaching around the world. Learning aids include lessons that are easy to comprehend, yet detailed enough to provide concrete understanding of the concepts. Users can test themselves through the quizzes available for each grade. The learning aids also help users in understanding the deeper aspects of the language based on their grades. Writing aids teach how to write the most efficient materials. Sententia is extremely usef-friendly. The website and the mobile app are responsive, light weight and are designed with the best user experience guidelines. Powered by a highly scalable backend infrastructure to do all the heavy weight computation required for complex Natural Language Processing, Sententia is deceptive in its looks of simplicity and usability. Use it to know how intuitively it is designed so that the user can only focus on the task at hand without any distractions. Great value at even greater prices! Explore Sententia with a no obligation, 7-day free trial version. Our Basic plan of Rs. 999/year is opening doors for greater opportunities to students, scholars and working professionals. If you are looking at maximizing your output with confidence in the workplace then go with our premium plan of Rs. 2499/year. The academic edition is offered to institutions for students and scholars to utilise a broad range of features aimed at enhancing skills, essential for academic excellence. The enterprise edition is offered to organisations looking at improving and accelerating the communication skills, productivity and efficiency of their employees. Boost your organizations confidence for maximum growth. Lets make something great together! ©2019 NetAnalytiks Technologies Pvt. Ltd.